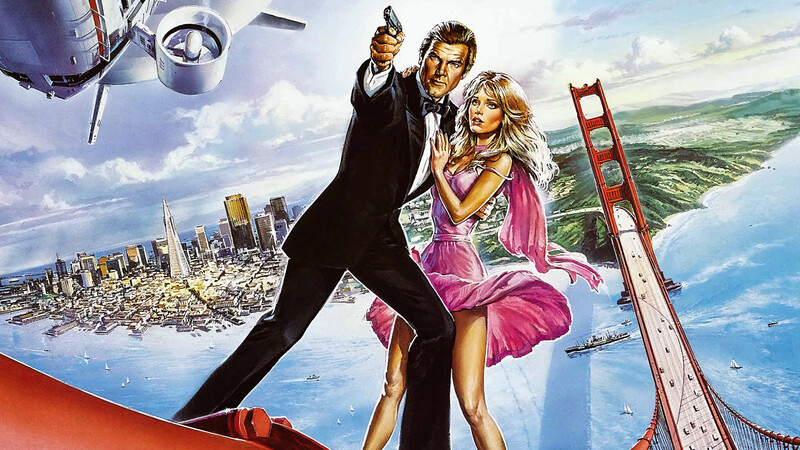 A VIEW TO A KILL did a lot to kill view hopes of James Bond fans, as Roger Moore’s final turn has almost nothing to recommend it beyond a good poster. 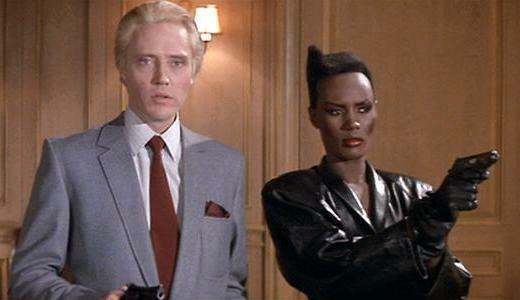 Rogue ex-KGB crazoid Christopher Walken plans to destroy Silicon Valley (is this a bad thing?) and corner the microchip market. Tanya Roberts’ acting is nonexistent, Grace Jones is—someone tell me? and the rear is brought up by Patrick Macnee, Patrick Bauchau, David Yip, Robert Brown, Desmond Llewelyn, Lois Maxwell, Walter Gotell. The 14th and last appearance of Lois Maxwell as Miss Moneypenny. Talk about a Bond girl!— in the 1980s, Maxwell sailed across the South China Sea from Hong Kong to Singapore, armed with machine guns and a rocket-launcher to ward off pirates! Lois passed away at 80 in 2007. Too bad this movie didn’t have a smidgen of that pluck.